Google outdid itself with this April Fools’ Day prank, so let the scavenger hunt begin! According to an announcement from Google, Waldo, the title character from the Where’s Waldo? picture book series, will peek from the side of the screen and invite Google Maps users to find him via a scavenger hunt. He’ll give you his location and then take off running. It’ll be up to you to use the app to follow him to a well known location. Once you initially find Waldo, Google Maps will overlay a 2D Where’s Waldo?-like scene on the screen. You’ll have to zoom in, pan, and scroll around the map to find the famous elusive character. Google Maps will then challenge you to more levels, finishing with a bonus round where Waldo’s location will be turned off, and you’ll be left with just one hint to try to find him. Waldo, you tricky trickster, you. And Google Assistant is in on the game, too. 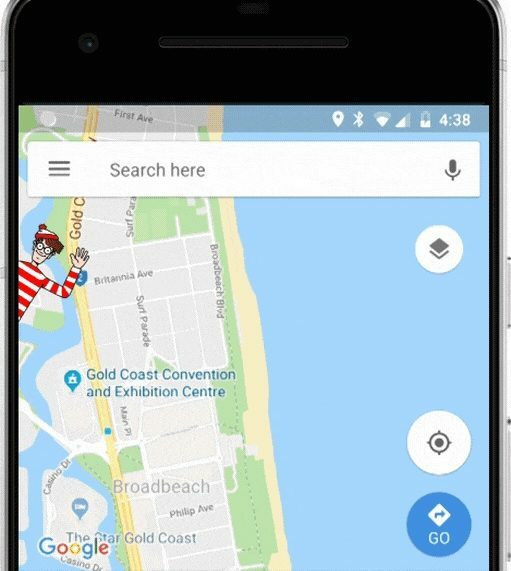 Just ask, “Where’s Waldo?” to open up Google Maps and begin the game on your phone. Plus, according to Google, you’ll be able to learn about each location where Waldo and his friends are hiding. Fun and educational — we like it! This April Fools’ Day treat will be available in 77 languages and can be played on iOS, Android, and desktop. We’re all coming for you, Waldo. Watch yourself. The game will only be available until April 4th at 11:59 p.m. PST. Make sure you check out the Google April Fools’ Day prank before it’s gone forever. Come March 31st, the hunt for Waldo commences!